Finally, a little art news! 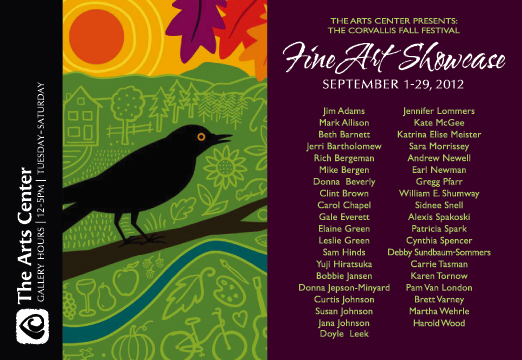 There are two upcoming shows, back to back that I’ll be participating in at the Arts Center in Corvallis. First up is for the month of September. The piece is still in the works but stands a pretty good chance of getting completed before the drop-off date next week. Photos to come of the process. Next show will be in October. I was accepted for the Around Oregon Annual! This was my first attempt to enter the show and I feel very privileged to have made it through the jury process. I started with balsa or bass wood frames. 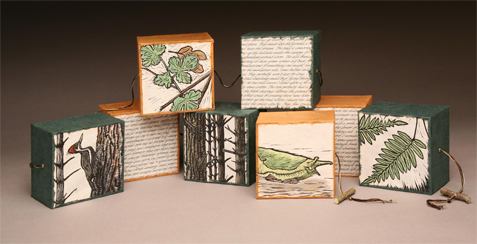 Each box has a hand colored print on one side and part of my journal entry on the other. Print & journal entry paper is mulberry (I think) and the other is Thai Unryu. Boxes are connected with embroidery floss thru brass eyelets. Weight is less than 1/2 lb! I look forward to seeing “Journal Entry” up close.